A cyst is a sac-like structure filled with fluid, air, gas or pus. Cysts can form anywhere on the body and are usually harmless. They may be very small, or grow large. 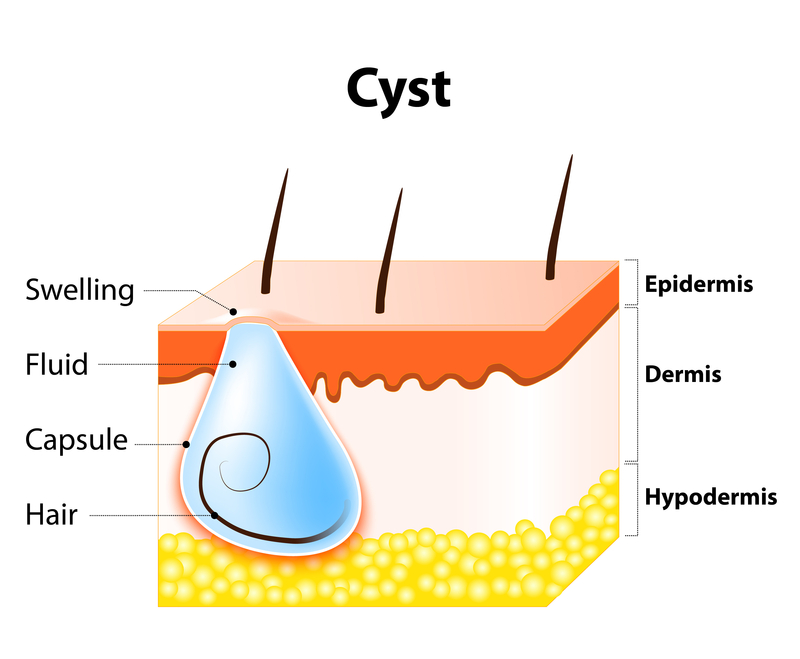 Cysts may form in many different parts of the body and are usually named based on where they occur. Cysts are not cancerous and, depending on the cyst, can go away on their own without treatment. Cysts should be evaluated by your dermatologist to ensure they are actually typical benign cysts. Some cysts that may be uncomfortable, in an undesirable location or that become infected, may need treatment or removal. Some typical causes of dermatological cysts are infections, clogged glands and piercings. Do not attempt to drain a cyst at home, as this can lead to infection.